ChoCho and Jynx are two young lovers facing down a world almost completely devoid of human life after an undefinable event destroys nearly every city on the planet. 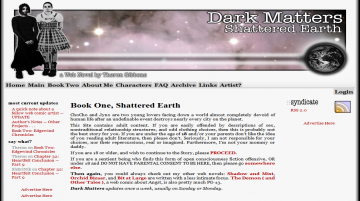 Dark Matters has not been tagged yet. Help others find Dark Matters by tagging it! Dark Matters has not been reviewed yet. Dark Matters has not been recommended yet.